Home » Blog » Windows » Are Cheap Replacement Windows In Lexington, KY Costing You Money? Are You Really Saving With Cheap Windows? We’ve all been there. Sacrificing a few dollars upfront only to realize the long term expense becomes more than our original bargain. We’re not assuming that you’re not a well educated buyer, but with an overwhelming abundance of options on the market, it’s very easy to allow price to be your main deciding factor. In this article we’ll be discussing how buying cheap replacement windows in Lexington, KY may end up costing you more in the long run. Cheap Windows – The Bait & Switch! So you’ve researched the brands and decided on the type, now it’s time to decide who has the cheapest windows in Lexington. Before you pull the trigger, let’s look at what’s really included in the price! You’ll often see window prices advertised in Lexington for $189/per window. Occasionally, you’ll even find another competitor advertising it for $1 less at $188/per window. Now, that sounds great, but what are you really getting for that dollar amount? Furthermore, what’s not included in that price? The list goes on and on, but it doesn’t have to be this way! At Lexington Blue, we provide upfront pricing that includes everything from the removal of your old windows to the final product being installed. Another factor in cheap window pricing falls into the installation methods. Think about it…If you wanted to deliver the cheapest window on the market, how would you do it? Possibly by not doing things correctly regarding the installation! We take pride in our workmanship! From the small window repair to the large projects where we substitute and install all windows in a home, we do it right from start to finish. 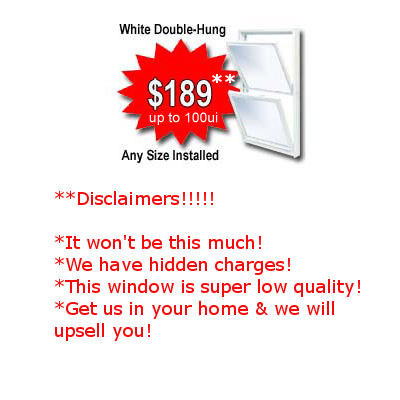 Don’t be fooled by cheap window ads! Trust Lexington Blue for an honest quote with real expectations! On another note regarding the price, it’s important to understand what you’re actually getting for the money. Do we sell affordable windows? Yes, but we also make certain you understand the value and quality of that particular window as well as the performance capabilities prior to investing in it. When you’re shopping window stores in Lexington for the lowest priced windows, make sure you’re comparing apples to apples. 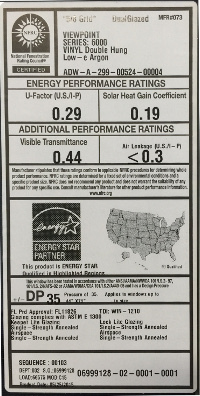 The ratings on each window can vary, which reflects the cost and certainly the performance. Let’s take a look at 2 different window models along with their respective ratings and price ranges. Now, not factoring in the consideration of a proper installation, you can compare the performance of each window. 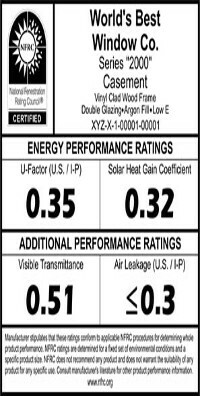 You’ll see that the higher rated window, has in almost all factors, a lower rated number. While the cheaper rated window has higher rated numbers. In general, a window with lower rated numbers such as the u-factor, solar heat gain and visible transmittance are almost always considered a better quality window. So let’s set aside the salesman’s pitch. When you’re trying to decide between cheap and quality, the two usually don’t mix. Ask yourself this…Can I live with a low performing window to save a few bucks today? Then ask yourself this…Could the utility bill I’m paying today have been lower? In most cases, we recommend to our clients that they only replace the number of windows that they can afford at a given time. Then, when they can afford to replace more windows, they aren’t sacrificing quality. Although you may not be able to replace all of them at once, at least you’ll ensure you’re getting the best overtime. Buying windows can be challenging. For a trusted non-biased opinion regarding your best options on the market, contact us for a free consultation. Lexington Blue has many benefits when it comes to purchasing windows. We offer a variety of brands that include multiple price points as well as performance capabilities. No matter what brand or type you select, you’ll have peace of mind knowing that our trained installers will approach your project with care and perfection in mind. This allows whichever window you select, to perform at it’s maximum potential. Our consultants will listen, diagnose and confirm your needs based on what you’re trying to accomplish. Then we will advise you with the best and most affordable windows to meet your needs. When you’re ready to save on windows without sacrificing quality, contact us for a professional experience.